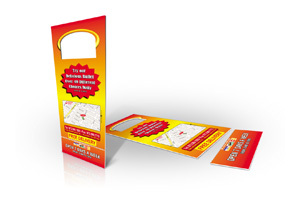 EDDM, or Every Door Direct Mail, is a great way for local businesses to reach every customer in the local area. Whether you have a specific target area in mind, a specific mail route, or just want to cover as many homes as possible within a specific zip code, we can take care of it for you. 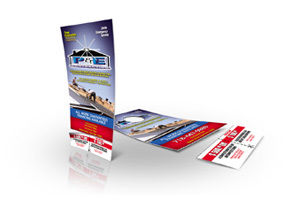 You have the option of choosing a size as small as 4 ½" x 12" or something as large as 9" x 12" for your mailer. Paper can be 14pt, 16pt, or 100lb gloss cover. Available coatings are uncoated, UV front only, UV front and back, uncoated, matte, or aqueous. 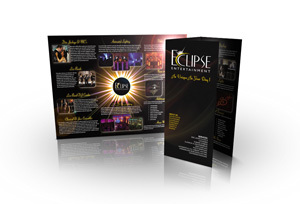 Print can be featured on the front only or the front and back with various color options. Bundling services are available with bundles of 50 or 100. Businesses will often pay significant fees to have access to consumer mailing addresses. This service takes that financial burden away and allows the post office to use its database to find the customers for you. Instead of paying $100 for a list of names, now you will actually have an advertisement reaching them. The cost of mailing per piece is often much less than a business would pay to mail out the items themselves or pay someone to actually deliver them by hand. 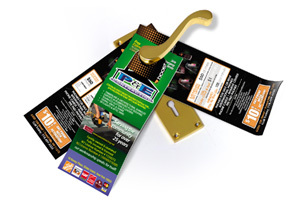 Furthermore, since it is delivered with their regular mail, it stands a much better chance of being seen than if you were to merely stuff a flyer in their mail slot. Choose colors that will grab the reader's attention as soon as they see the mailer. Your copy should be short but concise to clearly communicate the purpose of the mailer. In order to know how successful an EDDM campaign is, you should have some type of offer included. Coupon codes or special landing pages are great ways to find out just how many of the mailers were used to find the business. 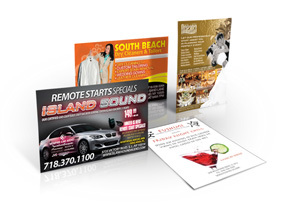 You may want to order small batches of different mailers to test them before placing a big order. These "test samples" will provide valuable feedback as to what the consumer finds interesting and what simply finds its way into the trash. Restaurants should include a menu in the mailer. Even if the consumer does not choose to use it at that day, they can keep the mailer and refer to it later when decide to order takeout. 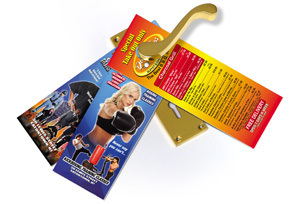 Include hours of operation and contact information on the mailer. This promotes the reader to hold onto the flyer if they think they may be interested in your product or service at a later date. If you need help or have more questions about this product, call us at 888-888-0649 or click here.